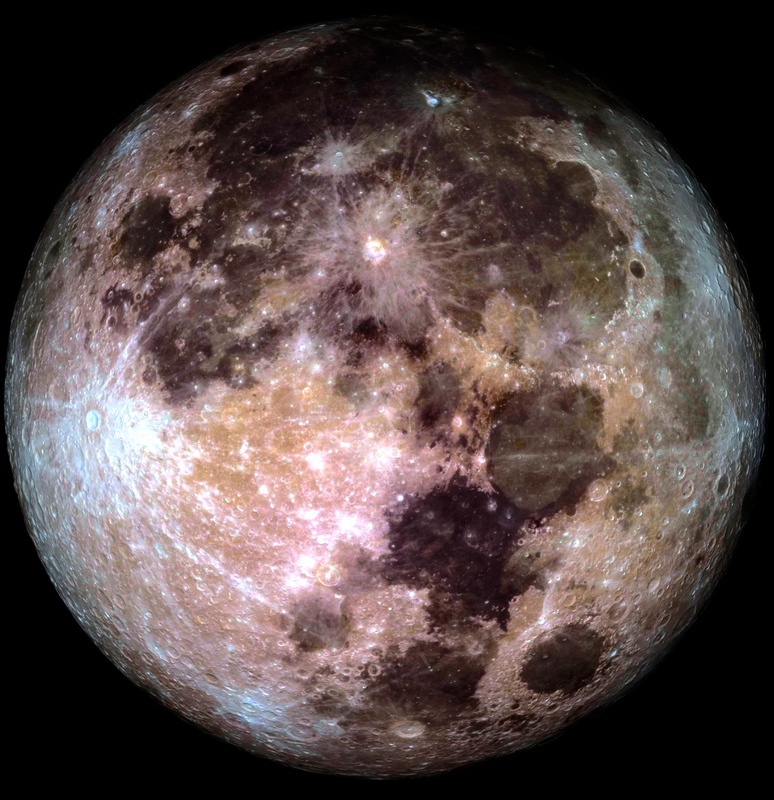 This image of the Moon has been rotated to the right and colour adjusted to show this view. If you go to full screen and look carefully, you can see the figure of a Woman. To the side of her, on your right, her left, there is a Man with a beard and wearing what looks like a crown on his head, pointing at her. IS THE MOON SHOWING US THE BEAST ? Across the length of the woman's body, from about her knee to her chest, is the number '666'. This is the number of the beast in Revelation 13:18. We are told that this number is the number of a Man, and we see a 'Man' standing next to Her. We are also told of an 'IMAGE' or 'STATUE' representing the 'Beast' and also a Woman named 'Babylon the Great' who represents a 'CITY' Revelation 14:8. 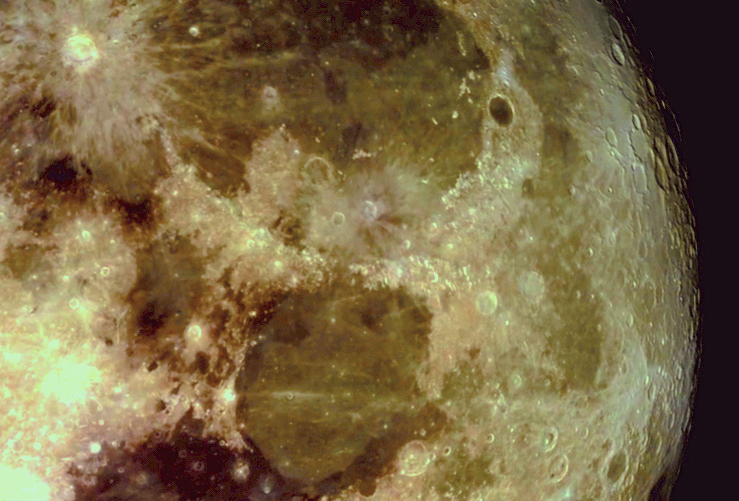 The image below is Aristarchus Crater, it is the little blue dot on the Moon image above. It is unusual because of the bright blue light it emits and its wheel like configuration.